Last weekend, I had the honor of being in my friend Jacquie's wedding in Marblehead, Massachusetts. 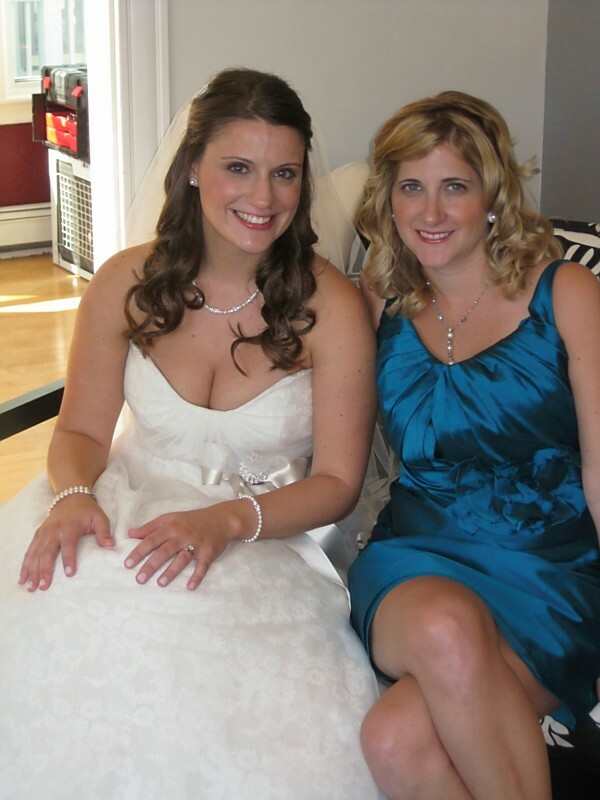 The bridesmaid gown was an A-line knee length dress made of a silky taffeta material in a color called peacock from Jim Hjelm Couture. Somehow I was able to find the exact shade of blue/green nail polish too. 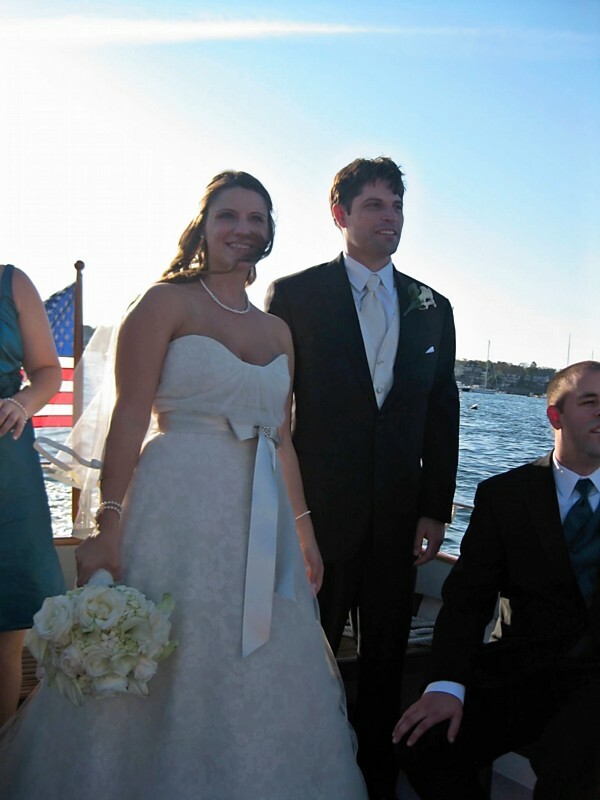 Since the reception was held at a yacht club, the bride embraced a nautical theme with seashell designs on the wedding invites and seating placement cards. She also surprised her guests by arriving to the reception by boat. Luckily, it was a gorgeously sunny day, perfect for on the water. I also adored the bouquets of white roses, hydrangeas and dahlias, which carried over to the wedding cake and center pieces as well. Just look at the white flowers with purple tips. Oh, and you can see the sun setting out the windows behind the cake. Lastly, the bride and groom were already thinking ahead to their thank you notes. Instead of selecting a general wedding photo to include in their responses, they opted on holding the below vintage looking wooden sign painted with the words "Thank You" printed. Such a fun idea. I like your 'Hostess with the Mostess'-like highlighting of all of her wedding's unique elements! And I think your oar comment was the best one there. I was honored to have you in my wedding! I agree with B, your commentary is excellent and I LOVED your tag line on the oar. I should also say that I am flattered to make it onto your blog! So exciting. Thank you again for everything. Thank you for highlighting this wedding. I am getting married on the beach next summer and love looking at how others got married on or by the sea.